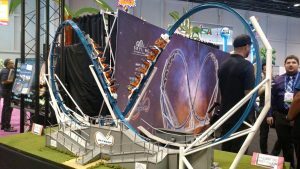 The International Association of Amusement Parks and Attractions (IAAPA) Expo 2016 boasted a record breaking number of exhibitors and buyers. 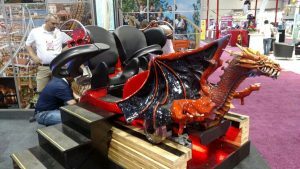 It was also record breaking for us, with hundreds of likes and shares across CoasterForce Facebook and Twitter. Let’s take a look at the nine most popular announcements from IAAPA as liked and shared by you, our lovely followers! Inatmin kept this quiet! The new Zac Spin model, which features several seat configurations, lap bars and a launch, wasn’t outwardly advertised at the show. Word only spread when they revealed it to Coasterforce during a chat! 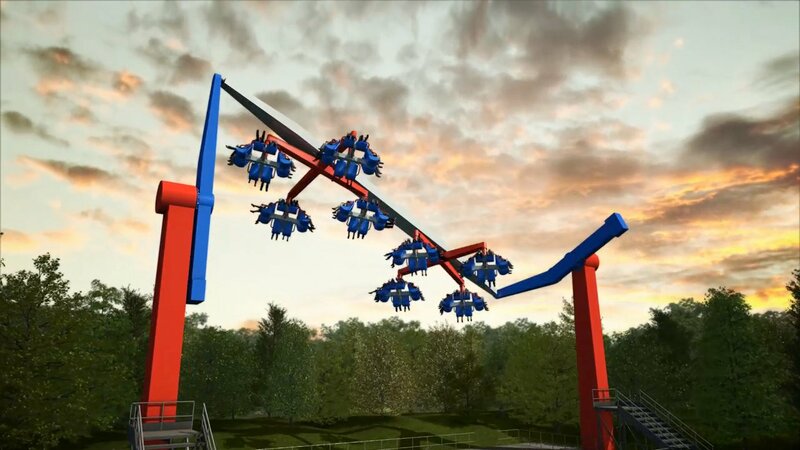 Watch the concept video on CoasterForce YouTube. We all love a new coaster type and this one looks great for younger thrill seekers….and S&S already have a buyer! 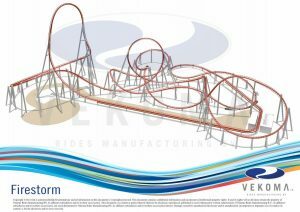 Dutch Wonderland, PA, USA, will open “Merlin’s Mayhem” in Spring 2017. 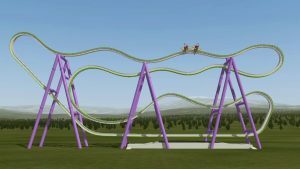 The coaster is 60 ft tall and has on board audio. 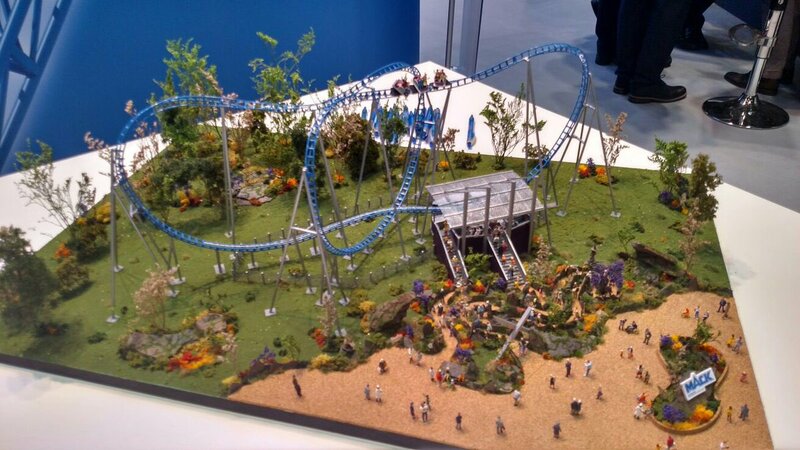 Everybody loves a model and this photo of Skyline Attractions‘ Skywarp ride certainly did the rounds. Nearly every theme park enthusiast group uploaded it to their social media. Skywarp is a dual-loop ride that cleverly produces a dueling near-miss element and brings riders tantalizingly close to one another. 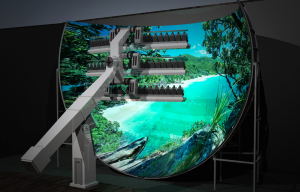 This train is only a concept, it doesn’t exist on any roller coaster…yet! Gravity Group had a lot of interest from potential buyers so it probably won’t be too long until we see one flying around a park. 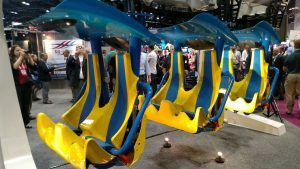 The SeaWorld group announced a lot of exciting things at the show, such as VR for Kraken, new dark ride vehicles for SeaWorld San Diego and the InvadR GCI wooden coaster trains for Busch Gardens Williamsburg. 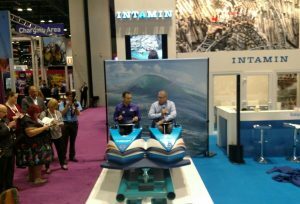 However, the trains for new jet ski style coaster by Intamin for SeaWorld San Antonio impressed you the most! 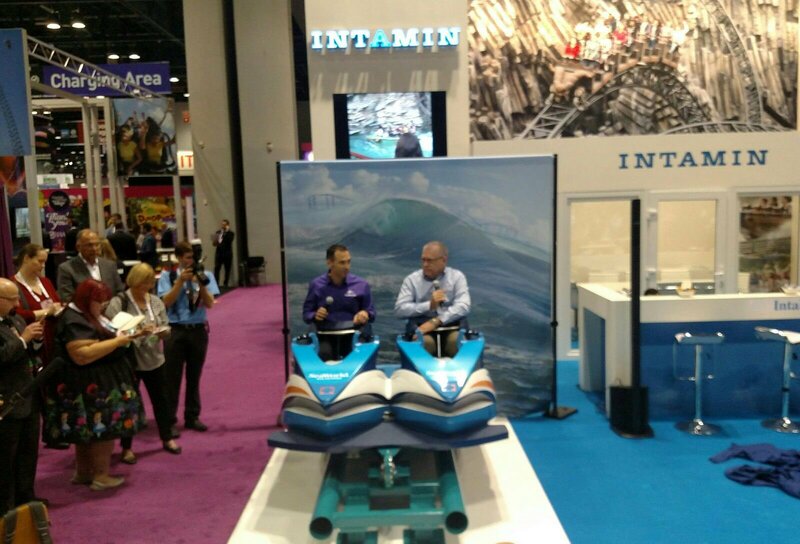 We’re getting to the business end of our Top Rated Things from IAAPA. This collaboration between Simworx and Mondial Rides got loads of followers reaching for the like and share buttons. It’s a modified Mondial Top Scan mixed with a Simworx 4D Cinema. It’s going to be crazy! A new thrill ride concept by Mondial takes the silver medal. 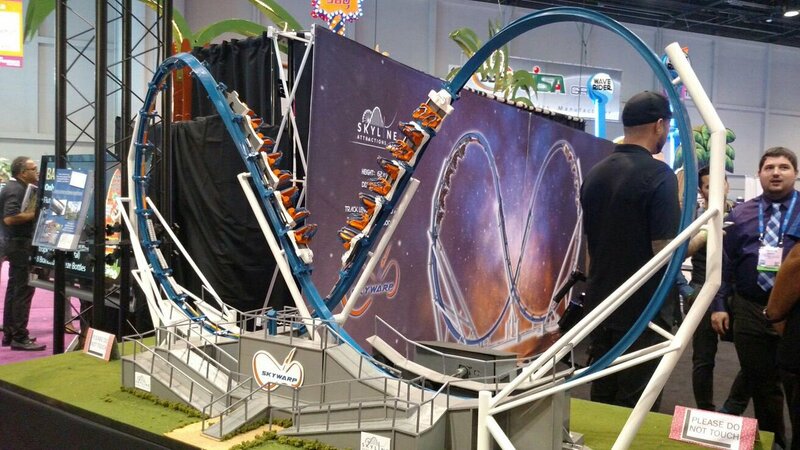 The Blender is a modified Super Nova ride, also made by Mondial, but features multiple spinning elements. You can watch the concept animation on CoasterForce Youtube. 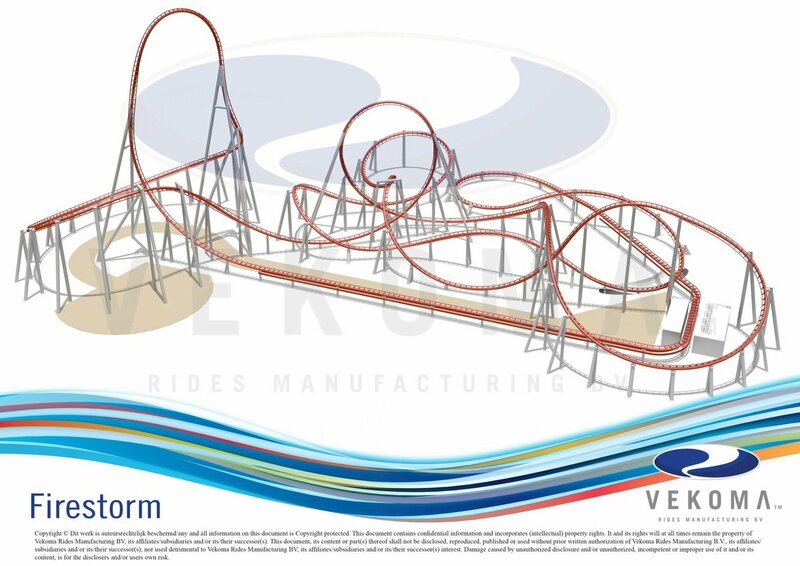 Taking first place by a considerable margin is the new Firestorm roller coaster from Vekoma! With a launch, top hat, multiple inversions, twisted airtime hills, station flyover and a beyond vertical drop, this announcement was universally loved. Firestorm received hundreds and hundreds of shares and likes across CoasterForce social media. Now we just want to ride one! There we have it! The 9 Top Rated Things from IAAPA 2016. Plenty of other cool stuff happened too, such as Triotech announcing three new dark rides, Zamerpla announcing a brand new theme park, Dynamic Attractions unveiling a new immersive cinema and the GCI InvadR trains. You can read more about the IAAPA Expo 2016 on the CoasterForce forums.